The Labrador is a moderate dog, not extreme in any way. It is square or slightly longer than tall, of fairly large bone and substance. Its broad head and strong jaws should enable it to carry the largest game birds, such as Canada geese. Its heavy body set and strong legs enable it to swim and run powerfully. Its coat, which is short, straight and dense with a soft undercoat, is weatherproof and helps to protect it from icy waters. The Lab is a working retriever and should possess style without over refinement and substance without clumsiness. 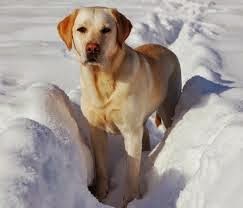 The warm and intelligent Lab is America's number one breed registered with the American Kennel Club. Even non-dog people can recognize a Lab, and artists and photographers have captured his image countless times — usually as the loyal companion, waiting patiently by his owner's side. The breed originated on the island of Newfoundland, off the northeastern Atlantic coast of Canada. Originally called the St. John's dog, after the capital city of Newfoundland, he was bred to help the local fishermen — hauling nets, fetching ropes, and retrieving fish that had escaped the nets — as well as to be a family dog. The Lab's sweet nature makes him an excellent therapy dog, visiting homes for the elderly and hospitals, and his intelligence makes him an ideal assistance dog for the handicapped. He also excels as a search and rescue dog or as a retriever for hunters, thanks to his athletic build, strong nose, and courageous nature. And Labs have also become the breed to beat at dog sports such as agility and obedience competitions — especially obedience. Labrador Retrievers hail from the island of Newfoundland, off the northeastern Atlantic coast of Canada. Originally called St. John's dogs, after the capital city of Newfoundland, Labs served as companions and helpers to the local fishermen beginning in the 1700s. The dogs spent their days working alongside their owners, retrieving fish who had escaped hooks and towing in lines, and then returned home to spend the evening with the fishermen's family. 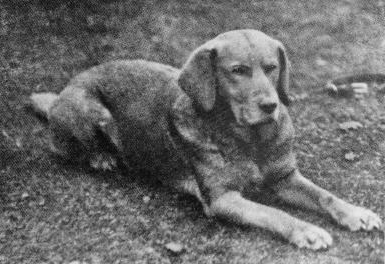 Although his heritage is unknown, many believe the St. John's dog was interbred with the Newfoundland Dog and other small local water dogs. Outsiders noticed the dog's usefulness and good disposition, and English sportsmen imported a few Labs to England to serve as retrievers for hunting. The second Earl of Malmesbury was one of the first, and had St. John's dogs shipped to England sometime around 1830. The third Earl of Malmesbury was the first person to refer to the dogs as Labradors. Amazingly, Labs — now America's most popular dog — were almost extinct by the 1880s, and the Malmesbury family and other English fans are credited with saving the breed. In Newfoundland, the breed disappeared because of government restrictions and tax laws. Families were allowed to keep no more than one dog, and owning a female was highly taxed, so girl puppies were culled from litters. In England, however, the breed survived, and the Kennel Club recognized the Labrador Retriever as a distinct breed in 1903. The American Kennel Club followed suit in 1917, and in the '20s and '30s, British Labs were imported to establish the breed in the U.S. 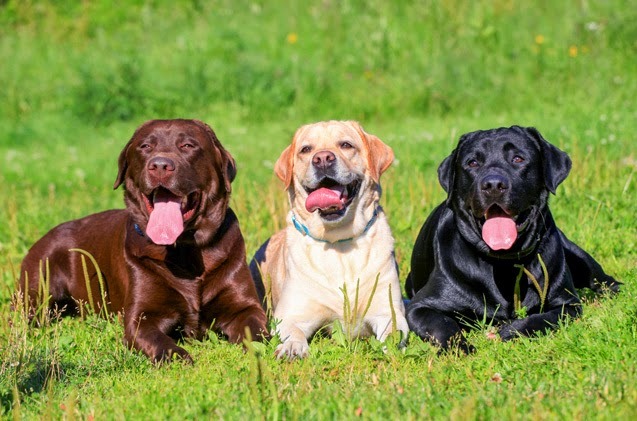 The breed's popularity really began to take off after World War II, and in 1991, the Labrador Retriever became the most popular dog registered with the American Kennel Club — and he's held that distinction ever since. He also tops the list in Canada and England. Today, Labs work in drug and explosive detection, search and rescue, therapy, assistance to the handicapped, and as retrievers for hunters. They also excel in all forms of dog competitions: show, field, agility, and obedience. The Labrador Retriever not only loves kids, he enjoys the commotion they bring with them. He'll happily attend a child's birthday party, and even willingly wear a party hat. Like all dogs, however, he needs to be trained how to act around kids — and kids need to be taught how to act around the dog. 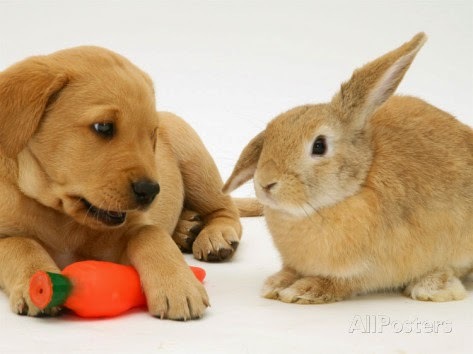 If a Lab has had plenty of exposure to other dogs, cats, and small animals, and has been trained how to interact with them, he'll be friendly with other pets, too. Labs are prone to hip dysplasia, a malformation of the hip joint that ranges from mild to severe and can cause such disability or pain that major surgery is necessary. Dysplastic dogs usually become arthritic. 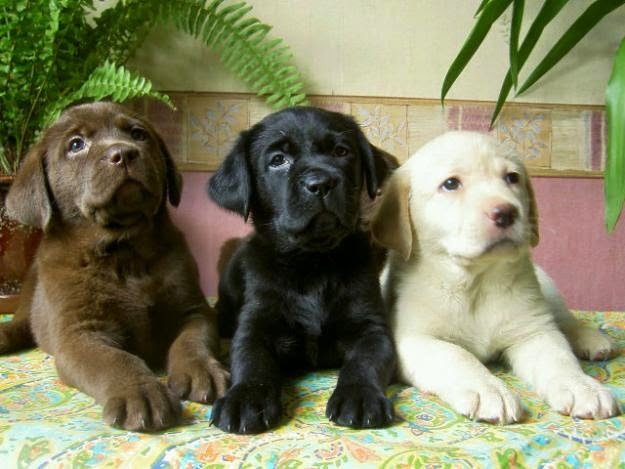 With so many Lab puppies produced each year, it is important to buy from a breeder who x-rays breeding stock for hip dysplasia and only uses those animals with an OFA or PennHIP clearance for breeding. Screening tests on breeding dogs cannot prevent the development of disease in offspring, but it lessens the odds that hip dysplasia will be a problem. Labs are also prone to several eye disorders, including progressive retinal atrophy and cataracts, and epilepsy. All Lab breeding stock should have an eye test each year and be registered free of eye disease by the Canine Eye Registry Foundation. Purchasing a healthy Lab pup can be a bit difficult, but the research to find just the right breeder and puppy is well worth the trouble. The well-bred Labrador Retriever is one of a handful of wonderful family dogs for a broad spectrum of lifestyles and living situations. A Lab can do field work (for real or in trials and tests), obedience and agility competition, or therapy dog work at local hospitals or nursing homes with owners who are looking for just a bit more than a companion dog. 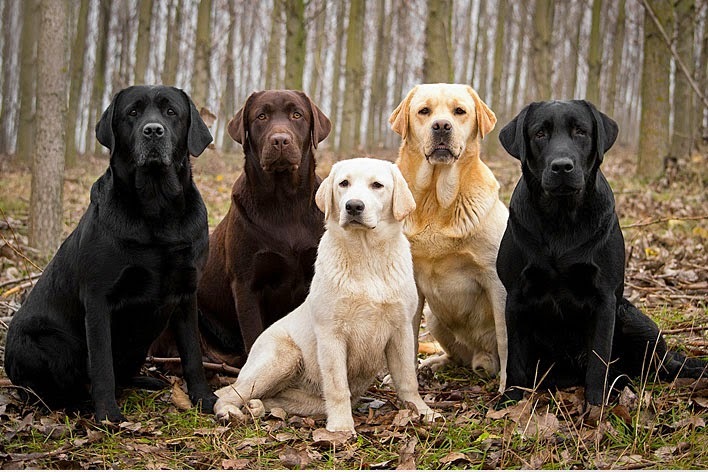 All in all, the well-bred Lab can be the perfect family dog. Labs show some variation in their activity levels, but all of them need activity, both physical and mental. Daily 30-minute walks, a romp at the dog park, or a game of fetch, are a few ways to help your Lab burn off energy. However, a puppy should not be taken for too long walks and should play for a few minutes at a time. 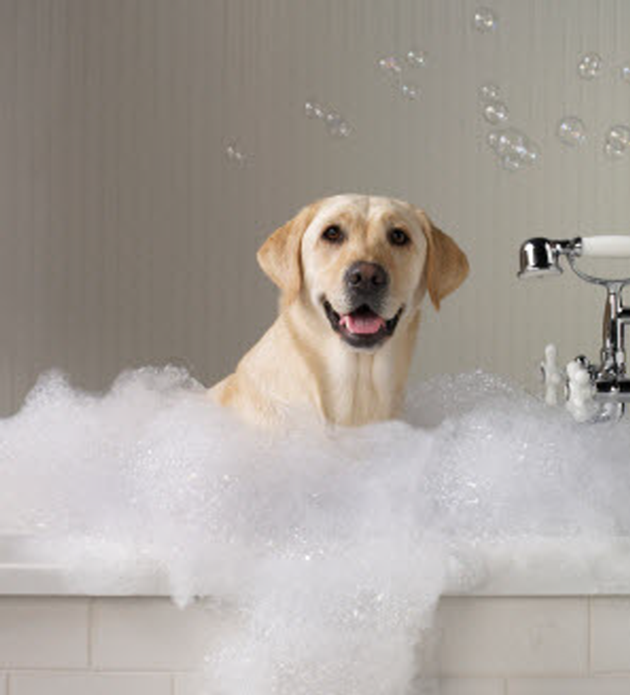 Labrador Retrievers are considered "workaholics," and will exhaust themselves. It is up to you to end play and training sessions. Labs have such good reputations that some owners think they don't need training. That's a big mistake. Without training, a rambunctious Lab puppy will soon grow to be a very large, rowdy dog. 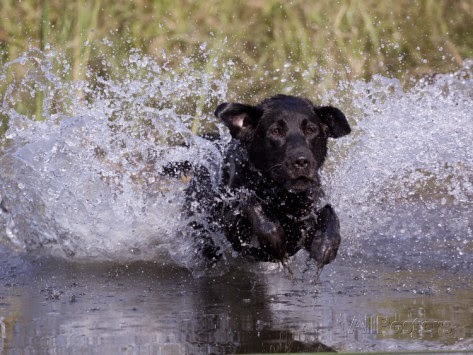 Luckily, Labs take to training well — in fact, they often excel in obedience competitions. 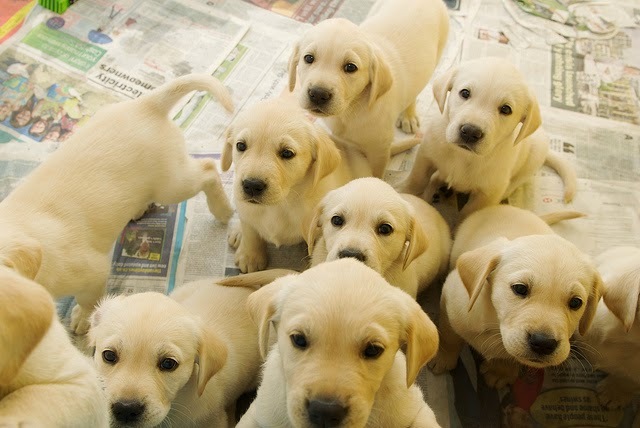 You'll need to take special care if you're raising a Lab puppy. Don't let your Lab puppy run and play on very hard surfaces such as pavement until he's at least two years old and his joints are fully formed. Normal play on grass is fine, as is puppy agility, with its one-inch jumps. As both the most popular breed by registered ownership and also the most popular breed for assistance dogs in several countries, there have been many notable and famous labradors since the breed was recognized. 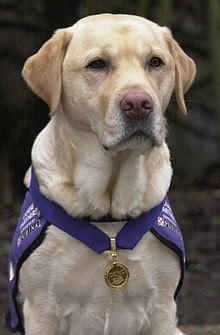 Endal, a service dog in Britain. Among other distinctions, "the most decorated dog in the world" , the first dog to ride on the London Eye and the first dog known to work a 'chip and pin' ATM card. By Endal's death in March 2009, he and his owner/handler Allen Parton had been filmed almost 350 times by crews from several countries, and a film of a year in Endal's life was in production. Zanjeer, a detection dog who detected arms and ammunition used in 1993 Mumbai (Bombay) serial explosions. During his service, he helped recover 57 country-made bombs, 175 petrol bombs, 11 military grade armaments, 242 grenades and 600 detonators. His biggest contribution to the police force and the city was the detection of 3,329 kg of RDX. He also helped detect 18 Type 56 rifles and five 9mm pistols. Lucky and Flo, twin Black Labrador counterfeit detection dogs who became famous in 2007 for "sniffing out nearly 2 million pirated counterfeit DVDs" on a six-month secondment to Malaysia in 2007. Following the multi-million dollar, 6-arrest Malaysian detection, they became the first dogs to be awarded Malaysia's "outstanding service award" and software pirates were stated to have put a £30,000 contract out for their lives. Sarbi, an Australian special forces explosives detection dog that spent almost 14 months missing in action (MIA) in Afghanistan before being recovered safe and well in 2009. Jake (rescue dog) a well-known American black labrador who served as a search and rescue dog following the September 11 attacks and Hurricane Katrina. Former President of the United States Bill Clinton's Labradors Buddy and Seamus. Russian President Vladimir Putin's Labrador 'Koni'. Brian Griffin from the animated TV sitcom Family Guy is a white Labrador Retriever. Bouncer in Neighbours, and Luath in The Incredible Journey, are also famous Labradors on TV. 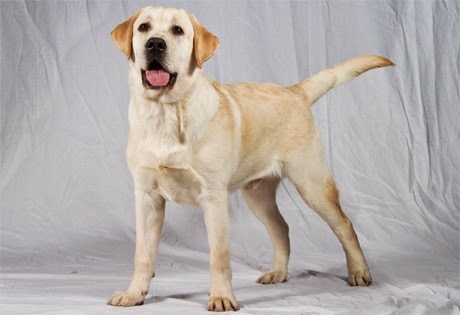 Marley is an American Labrador featured in Marley & Me, a best-selling book by John Grogan, and a subsequent film based on Grogan's life and times with Marley. 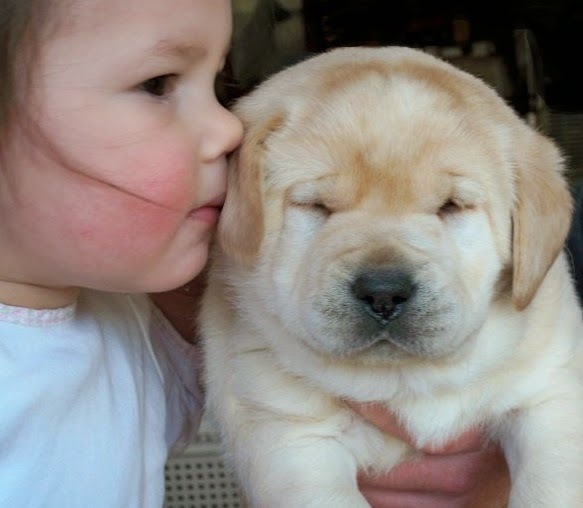 On the BBC children's television series Big Barn Farm, Digger is a yellow Labrador puppy. Rowdy on Scrubs is a taxidermy golden Labrador Retriever involved in various gags on the show. Vincent on Lost is a white Labrador Retriever. Pharaoh and Isis are yellow Labrador Retrievers in the television series Downton Abbey. Since 1972, a yellow Labrador pup known as the Andrex Puppy has been an advertising symbol for Andrex (Cottonelle) toilet tissue. Michigan State University has an ongoing tradition of Zeke the Wonder Dog. 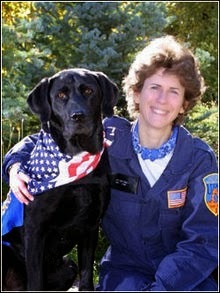 The original "Zeke" as well as the current "Zeke IV" was a yellow Lab, as "Zeke III", and "Zeke II" were black Labs.